You are here: Home / Entertainment / Must-Have Cool Gadgets. We live in a highly digitalized era. 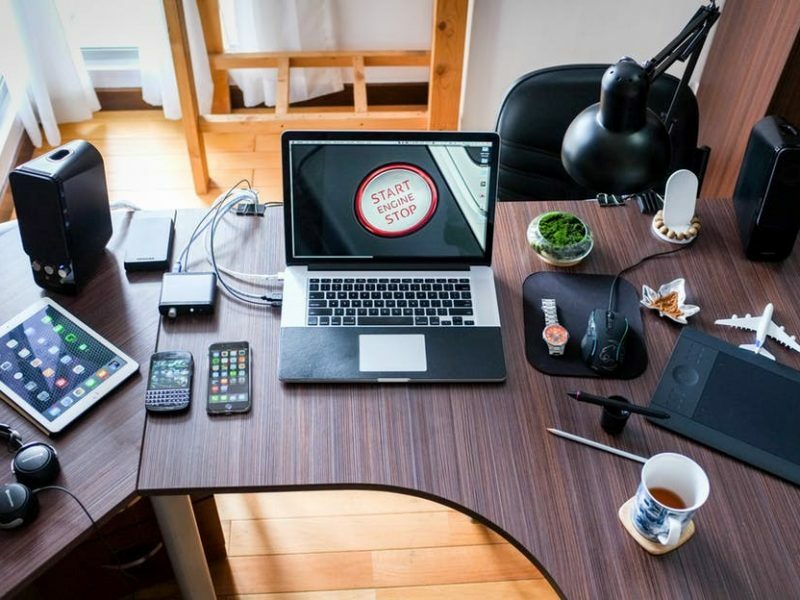 Whether it’s talking to a close one, entertainment, beauty care, healthcare, cooking or even various other household or office chores, electronic devices are all around us. While in most scenarios it has become a necessity as these appliances and consumer electronics ease our daily tasks, various other devices and gadgets are invented merely to keep us entertained and make our lives more fun-filled. 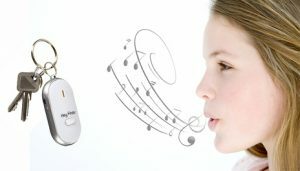 Following are some cool gadgets you wouldn’t know you needed until now. Get the cinema experience in the comfort of your home. 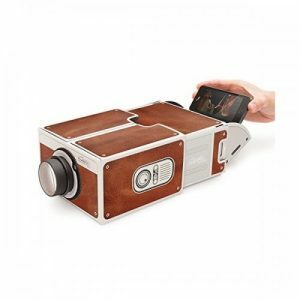 Project videos and images from your Smartphone onto a wall with this projector and you have a cinema with you on the go. 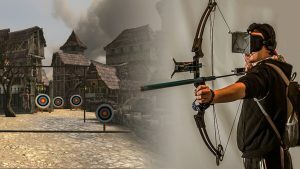 Even if you are not a fan of archery, you will become one if you have the Virtual Archery bow. It allows you to experience the fun of archery without hurting yourself or anyone else while you play. The bow holds your Smartphone and connects via Bluetooth when you download the app. It is suitable for both indoor and outdoor use, as well as both iOS and Android users. While you don’t love the game, your keys simply love playing hide-and-seek with you all the time. Get rid of the annoyance of losing keys by buying a Whistle Key Finder. Just whistle, and your keys will inform you of their location quicker than your obedient dog. Attach the finder to your keys, and it will light up and let out a beeping sound whenever you whistle. It’s small and discreet and will easily fit into your pocket and existing key ring as well. How annoying can people be when they just don’t know when to stop talking? 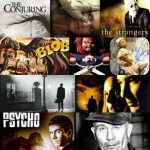 You are stuck there wishing you could somehow escape or better yet, stop them altogether. 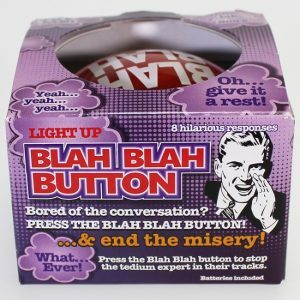 This is just what you need a Blah Blah Button for. Programmed with eight humorous responses, press this button next time you want to shut a person who loves the sound of their voice just a bit too much. Not just effective, it is highly satisfying as well. We all love a chilled drink to gradually sip on while we work. But as you get lost in your computer screen, the soda can is way past the cool temperature you want it to be at. 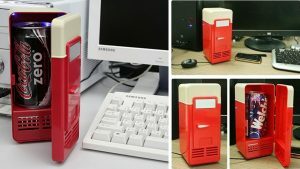 The USB fridge; a mini, retro cooler that can be powered by the USB port is just the solution you need in order to ensure you have your favorite drink at just the right temperature. It even has a mini fridge light to simply slay that actual refrigerator look. If you prefer hot beverages instead of sodas or wish there was a solution similar to the USB fridge to keep your morning coffee cup warm too, your wish has been fulfilled. These cup warmers are available in various looks and are powered by the USB port to keep your warm drink the way it should be. 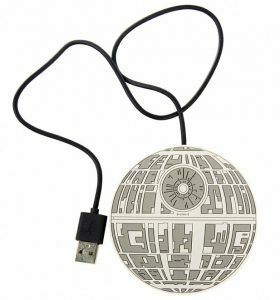 With these amazing gadgets, your life is sure to become easier and a lot more fun too!